I’m totally obsessed with the new HermÃ¨s campaign featuring Indian model Lakshmi Menon. Last week I wrote a post detailing my minor freakout over on Nirali Magazine’s blog, The Daily. I’ve since found images of the rest of the campaign and updated the post. See it all at Nirali Magazine. Lakshmi Menon for HermÃ¨s Spring/Summer 2008. 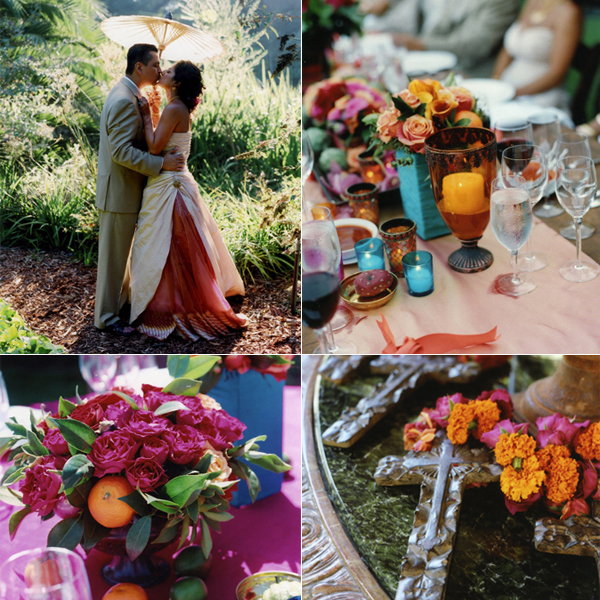 Namrita & Roman‘s wedding in California mixed the traditions of both of their heritages for a Mexican-Indian celebration that was truly stunning. This installment in Nirali Magazine, we bring you inside four real and stunning South Asian weddings plus, we’ve compiled guides on South Asian beauty and wedding photography and so much more. I thought many of you might like to see this issue… There are slideshows for many of the articles featuring a lot of wonderful wedding photographers. The amount of vendors featured is quite wide. You can find references for anyone from elephant rentals to wedding documentary filmmakers to mehndi artists to luxury event coordinators. See all ten articles in this installment of Nirali Magazine’s Wedding Issue on NiraliMagazine.com. Enjoy! Louis Vuitton has added a new book to its series of travel notebooks, this one of Mumbai. I love these books… I recently bought the New York book illustrated by one of my favorite illustrators, Ruben Toldeo. 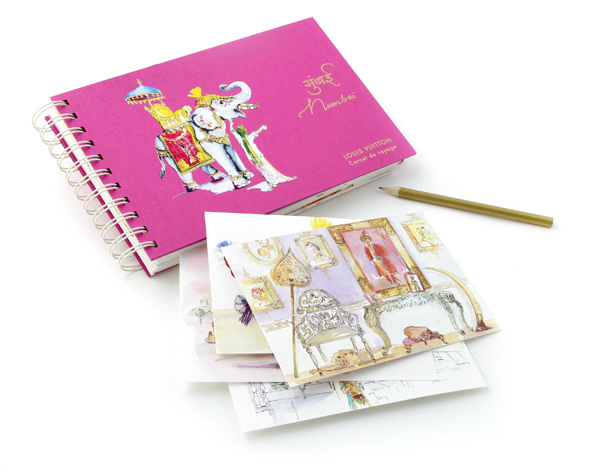 The Mumbai book is illustrated by Florine Asche and is teeming with gorgeous watercolor illustrations based on the artist’s travels in Mumbai. Fantastic stuff, really and truly. The book is currently sold out but is in production for a reprinting and should be available soon in stores nationwide. Mili wrote a lovely piece about it in our new issue of Nirali Magazine out now…. be sure to check out the article and our new issue. 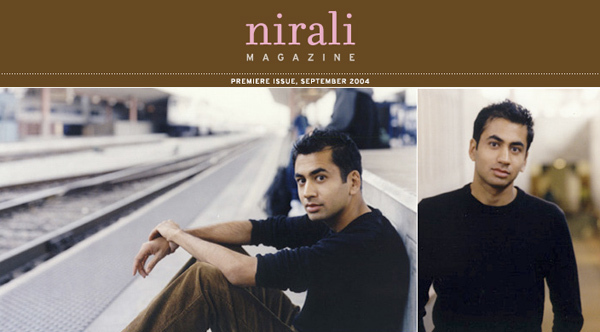 I run an online magazine with some friends called Nirali… We launched our first issue in September 2004 with a feature on the charming Kal Penn and since have covered the likes of desi newsmakers M.I.A., Shaheen Sheik, Tina Sugandh, Navi Rawat and Noureen DeWulf. We’ve been on hiatus for over a year now and are relaunching again on September 1st with a brand-new site and great content. If you’d like to introduce yourself to us, add us as a friend on MySpace! Kal Penn from our first issue of Nirali Magazine... he talked about the movie business, starting out and Harold & Kumar Goes To White Castle. This was an experiment in online publication design. Major lesson learned: use code to an advantage so updating isn’t a major chore. Although we are now on hiatus, I hope we come back very very soon. The June Issue, yes, still online.